Note: You need to register to gain access. This is exactly the kind of feedback I encourage readers to post. Such reviews help other PMP and CAPM aspirants to select the right study material. I'll try to get someone from Simplilearn team to look into your comments and address them. 1) Reg. back/previous functionality - The free test has a "Review Later" option, which at the end of the test lets you review all the questions you are not sure about. 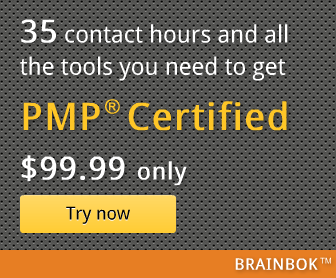 It is on the lines of the PMP Exam. I found that the scoring system is inconsistent. ie during review answer i found that i had picked the same answer as the system but i was still marked as incorrect for that question. Unfortunately i had closed the screen without a screen capture. However hope that the training provider will investigate this. Hello Anonymous, Thanks for pointing this out. We have fixed this problem. Looks like this was a data entry issue. Also, it would be great if you can send such observation to support@simplilearn.com. We respond within couple of hours and take required corrective action (if any).